A five-star luxury lodging experience in the heart of Berlin’s Mitte district at Potsdamer Platz, Grand Hyatt Berlin offers sweeping views of the city skyline and a lush rooftop spa. 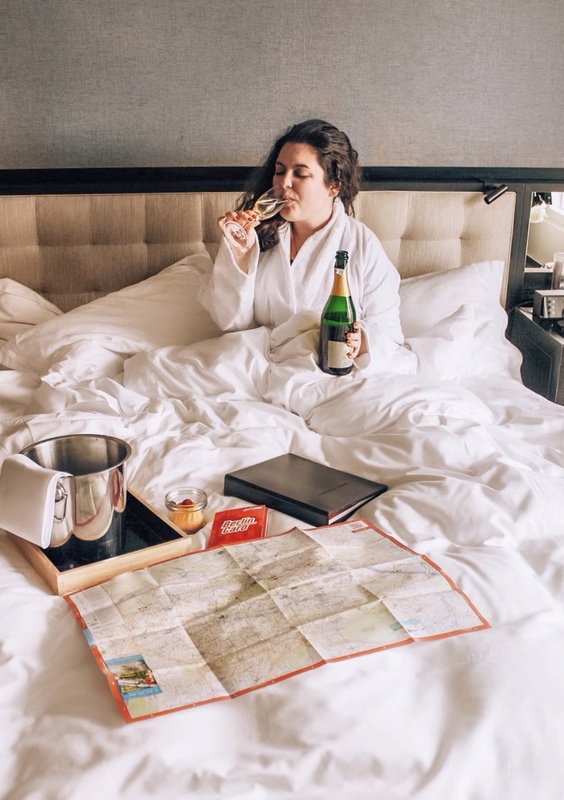 With chic and elegant upscale rooms, you will enjoy free WiFi, a 55-inch flat-screen TV, a minibar, luxury bath amenities, and the option of room service. If you prefer to upgrade, suites include all of the above as well as kitchenettes, access to the club lounge and spa, and 24/7 room service. 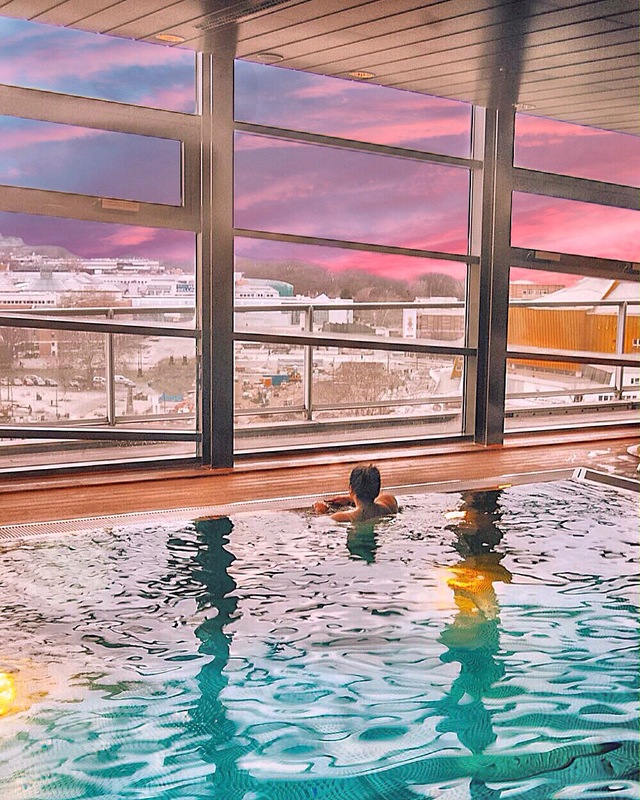 After check-in, take the private elevator to the top floor to access the Club Olympus Spa and Fitness center for a sweat session at the gym or for an award-winning treatment. Choose a facial, massage, or mani-pedi package for the best deal. It includes full day admission, a healthy Bento lunch box, plush robe, towel service, and unlimited tea, coffee, and water. For a full list of Club Olympus Spa’s services and amenities, click here. 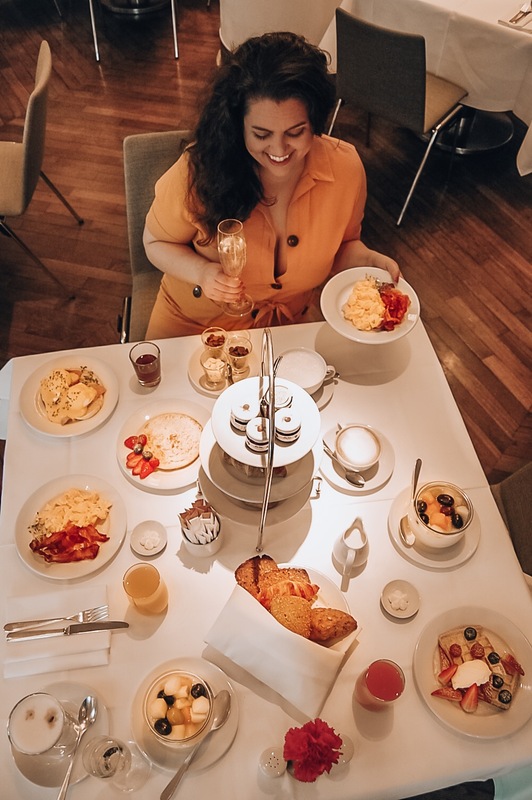 After a relaxing day at the spa, take the elevator down to the main lobby to indulge in an array of unique global dining experiences at the Grand Hyatt Berlin. Tizian, an cozy Italian eatery with a crackling fire place and an impressive list of fine wines lies adjacent to the main lobby.Take a few steps down the hall to Grand Hyatt Berlin’s renowned restaurant, Vox, to enjoy innovative Asian cuisine made from regional ingredients — sushi, sashimi, and premium sake. 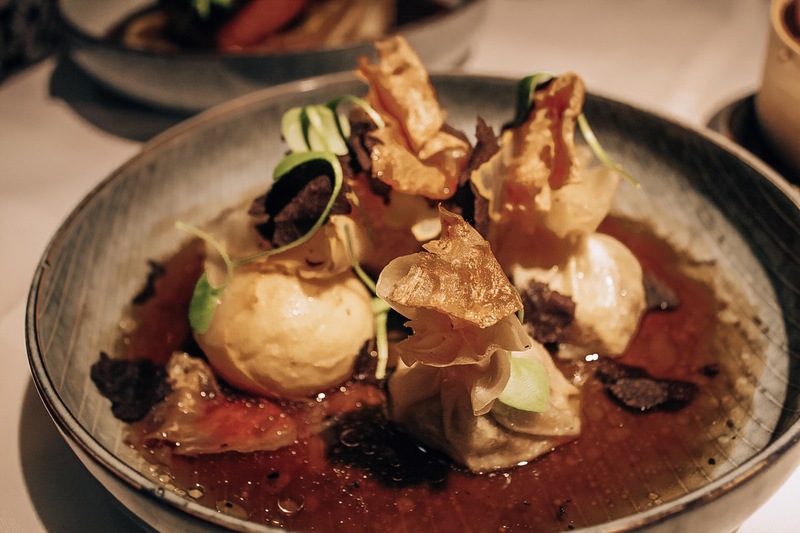 To satisfy your sweet tooth, order Vox’s stuffed “Chocolate Ball” filled with banana, passion fruit, peanut, and chili. For a quick night cap, step across the hall to the Jamboree Bar and order a premium craft cocktail while you take in its electronic tunes and edgy vibes (The “Golden Colada” that is served in a copper pineapple is a perfect choice). In the morning, head back to Vox to make yourself a plate (or three) from Grand Hyatt’s breakfast buffet. You’ll get to choose from a variety of egg dishes, crisp bacon, cured meats, fresh fruits, grains, cheeses, and both grilled and raw veggies. palace an hour before closing time. The staterooms — including the stunning rococo ballroom pictured above (Golden Gallery) — will be essentially empty, making for the perfect shot. In good weather, stroll through the English-style Palace Park located on the grounds for fresh floral scents and views of the mausoleum the Belvedere tea house. 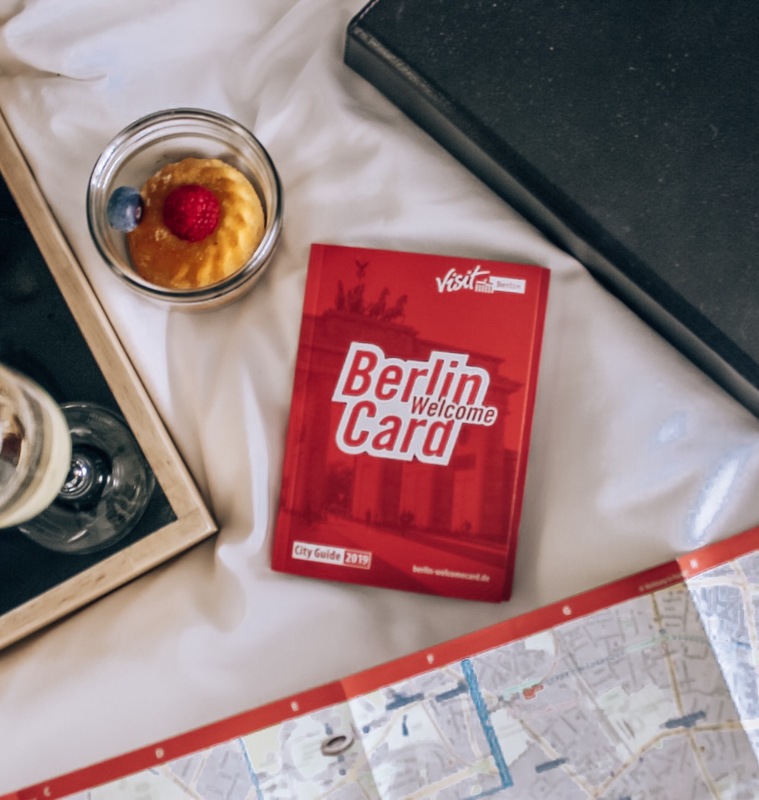 Pro Tip: Prior to your visit, invest in a Berlin Welcome Card from VisitBerlin. This card provides free public transportation, special discounts to museums and parks, and hundreds of recommendations restaurants, sights, and shopping. stands as the third-tallest throughout the European Union. location, but we recommend buying the “Fast Track” ticket in advance of your visit.Arrive when the tower first opens to beat the lines and crowds on the observation deck. To view ticket prices and hours of operation, click here. 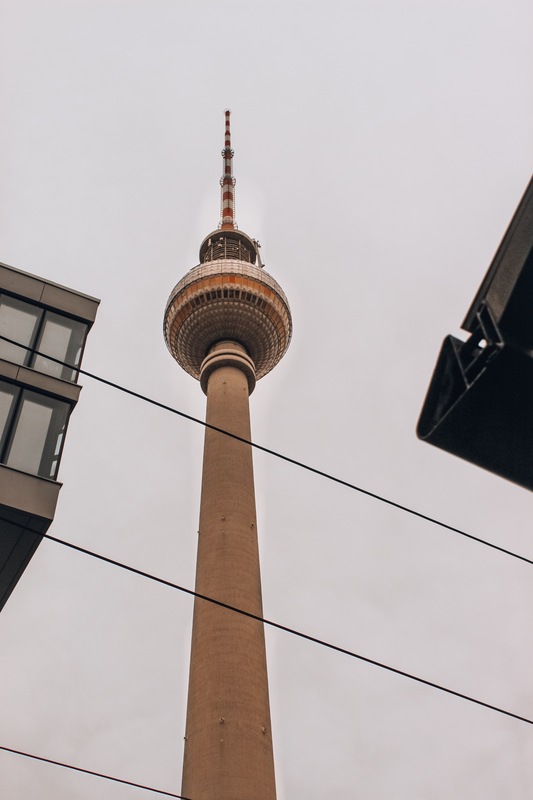 Pro Tip: Head to the grassy rooftop terrace at the Grand Hyatt Berlin’s Club Olympus Spa for an unobstructed view of the TV Tower and a sunbathing session. It’s still possible to take a step back in time during a journey down Berlin’s East Side Gallery. Located near the Ostbahnhof railway station on the banks of the Spree river, this open-air gallery is the longest in the world at 1316 meters. Since opening on September 28, 1990, 118 artists from 21 countries have contributed works of art to its storied slabs. While there are a number of captivating works of art showcased, the most iconic remains Dmitri Vrubel’s “Fraternal Kiss” painting. You’ll find this painting 200 meters to the left of the Mercedes Benz Arena if facing the river. 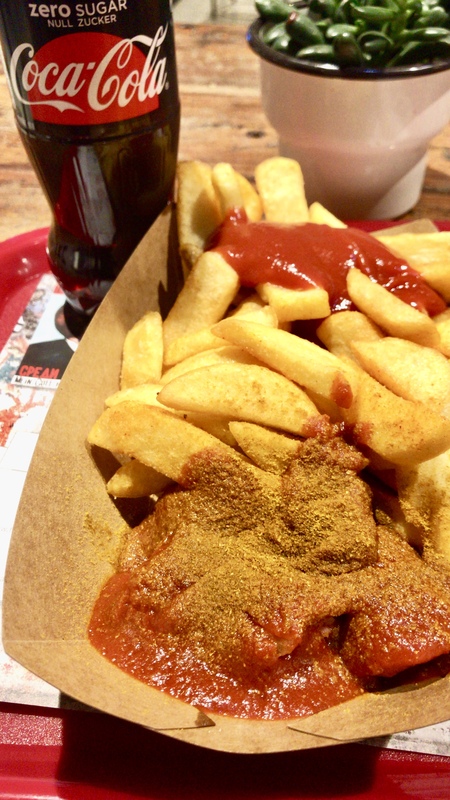 where you can try this traditional German fast-food delicacy, but we have our favorite: Curry 61.
ketchup sauce. Curry 61 offers the signature pork sausage dish, as well as a vegan version that can be made extra spicy upon request. The best part? A hearty serving with crisp fries and an ice cold Coca Cola costs less than 10 Euros, making for the perfect lunch. 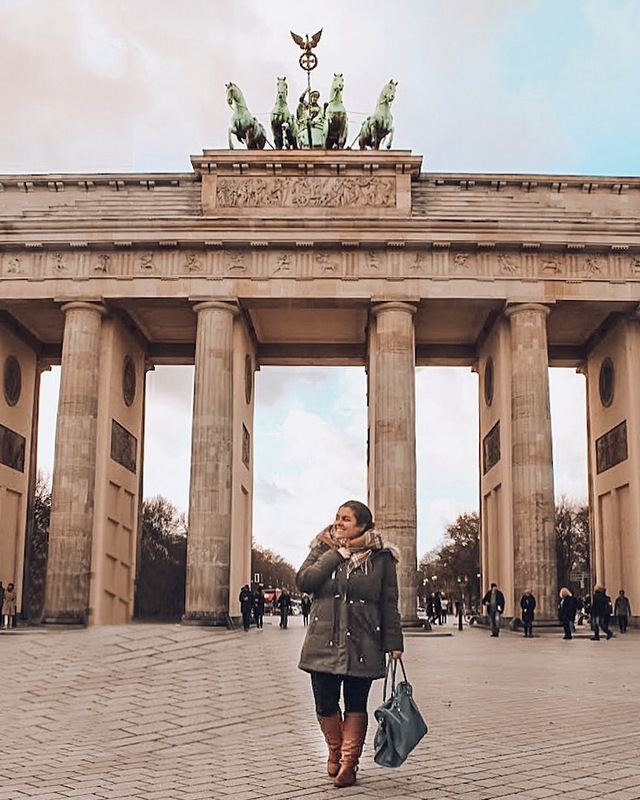 We couldn’t write an article recommending the top 10 things to do in Berlin without including a visit to the iconic Brandenburg Gate. While it is usually the first stop listed on any itinerary (and for good reason), we’ll tell you exactly why it should be there. A pinnacle of the Berlin’s turbulent past, it is the city’s only surviving gate that signifies a unified Germany after the fall of the Berlin Wall. More than 200-years-old, it’s glowing sandstone continues to represent one of the most beautiful forms of Neo-classical architecture in the world. The grounds of the Brandenburg Gate never close, so we recommend arriving to the location a few minutes before sunrise to enjoy the magnificent structure without the crowds. If you want to satisfy a sweet tooth without the added sugars and fats, Brammibal’s Donuts are the perfect compromise. A vegan bakery specialising in vegan donuts and coffee, the bakery rotates the flavour of its donuts out each season. Order staple flavours like the cherry-filled “Frankfurterkatz” donut and the “Irish coffee” donut soaked in (you guessed it) coffee liquor. Pro Tip: Brammibals is located directly across the street from the side entrance to the Grand Hyatt Berlin on Alte Potsdamer Street. 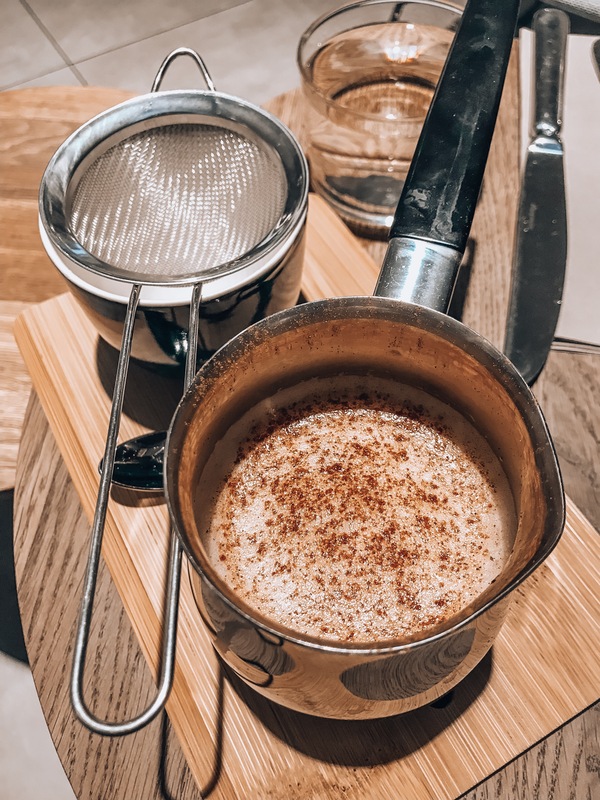 Some may think that coffee is simply coffee in any form, but not when it comes to the Tiger Nut Milk Latte from Hermann’s in Mitte. Soldiers during WWII would carry the vitamin E and iron-packed African superfood in their rescue packs. Today, Hermann’s uses the gluten-free veggie to make lattes and other milk-based beverages. Steamed and topped with fresh ground cinnamon, we think it’s the sweetest perfect mid-morning pick-me-up. 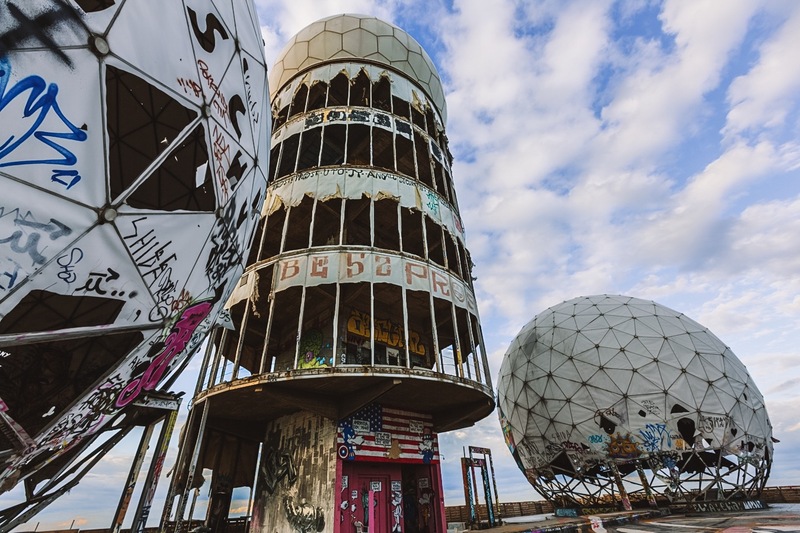 spy station during the Cold War, Teufelsberg today stands in ruins, though still hauntingly beautiful. adventure, arrive at Teufelsberg an hour before sunset to claim your spot for the perfect view. 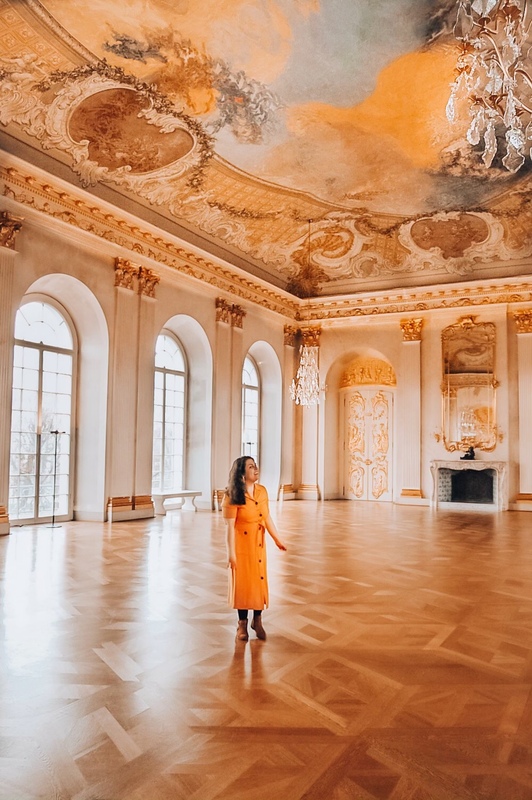 With so much history, architecture, international food, and breathtaking gardens and parks, it can be difficult to decide what to include in your Berlin itinerary, especially if you’re a fist-time visitor. 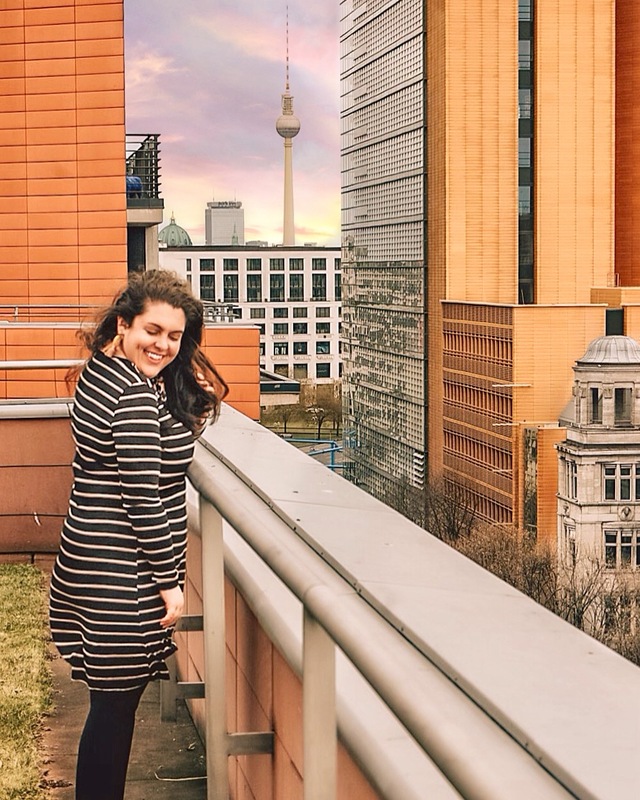 Hopefully the above tips and recommendations for the top 10 things to do in Berlin serves as a helpful guide for your upcoming trip to Germany’s shining city. Make sure you check back in the coming weeks for more Germany destinations guides and reviews. ***This post was created in sponsorship with Grand Hyatt Berlin and Visit Berlin. Alexandra Booze is a freelance writer and the editor of East Coast Contessa. 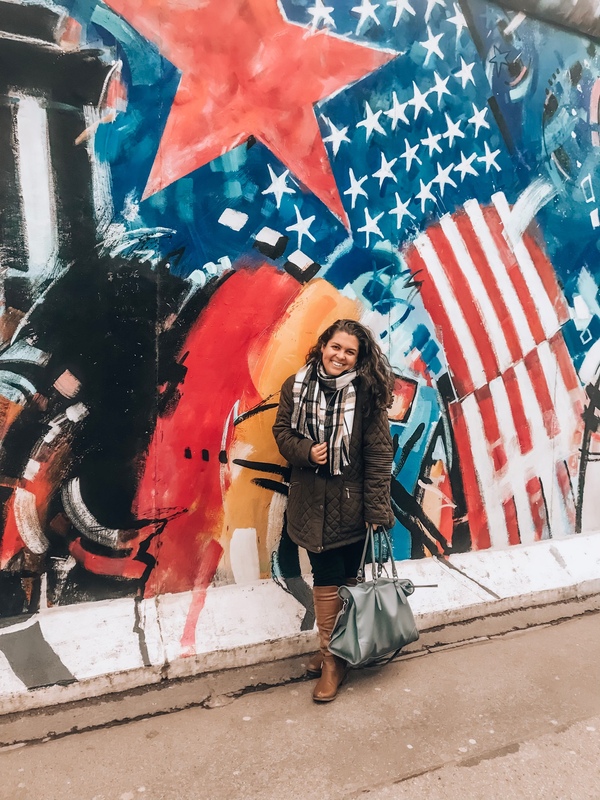 Since 2016, she has traveled to more than 20 countries and has worked with more than 450 consumer brands from across the globe. Her work has been featured in Chris Guillebeau's Side Hustle School, Women's Health Magazine, Thrive Global, Authority Magazine, Politico, and The Commoners Magazine, among others. She currently resides in Prague, Czech Republic.